← First day in the new house/work shop. LOVE IT! I’m a pen and paper sort of guy. 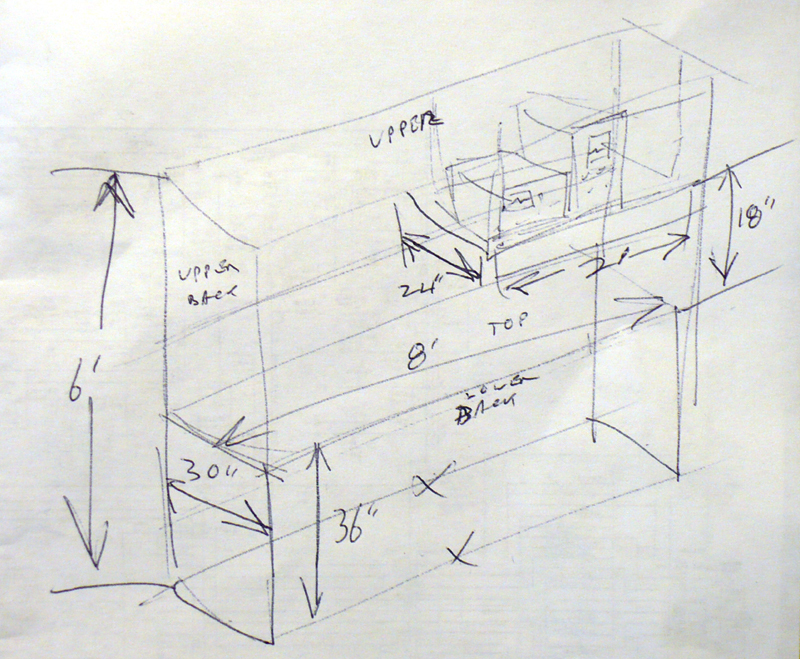 I like to draw up my plans in isometric view on paper. It takes only minutes and I have an idea of what materials I need. Yes, I could use a drawing program for this and there are many… even a 3-D program like Google Sketchup… but I like the feeling of drawing. It’s the first phase of the idea in my head being output to the physical world through my hand. Of course, I’ll be shooting video of the build to edit into the next Hack A Week video which will be posted Friday evening. Ahh, “DaveCAD”, yeah that’s a good visualisation medium. Maybe, DaveCAD is open source, after all.